Today’s Image of the Day from NASA is a mosaic of solar images that were captured by three different telescopes on April 29, 2015. High-energy X-rays from NASA’s Nuclear Spectroscopic Telescope Array (NuSTAR) are shown in blue, while low-energy X-rays from Japan’s Hinode spacecraft appear in green. 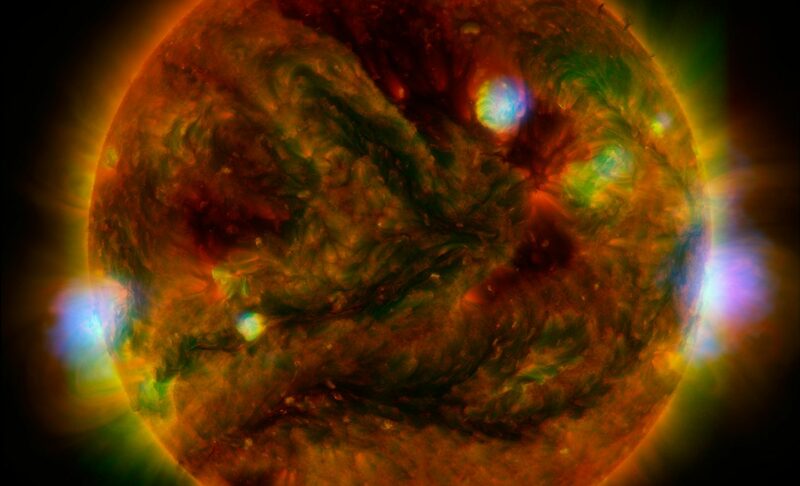 In addition, extreme ultraviolet light from NASA’s Solar Dynamics Observatory (SDO) is yellow and red. 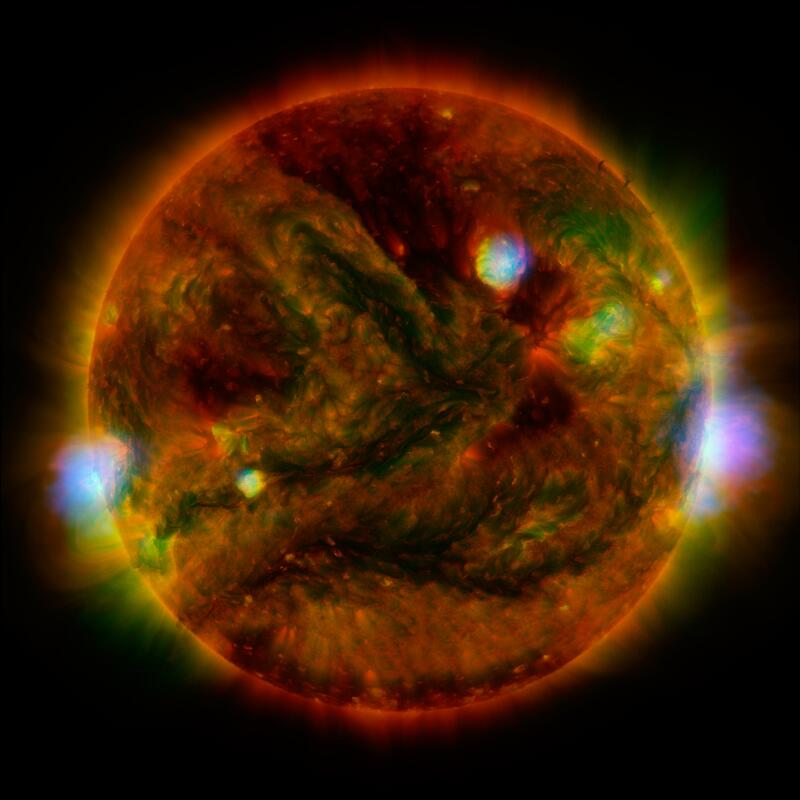 NuSTAR is typically used to look deeper into space to observe X-rays from supernovas and black holes, but it can also look safely at the sun and capture images of its high-energy X-rays.